Stress management encompasses the wide spectrum of methods, psychotherapies and techniques designed to help an individual control the levels of his stress especially the most chronic case with an aim of improving his daily functioning. Stress is something that humans usually face especially because of their hectic daily schedules and the many tasks that are in need of being accomplished within a specified time. While stress is normal, the most chronic cases are already alarming since this may cause you to experience a lot of difficulty in effectively performing your daily functions. Stress is capable of producing numerous symptoms and these may vary basing on the personality of an individual, his situation and the severity of the problems that he usually faces. The worst part about being unable to control chronic stress is that it can result to significant physical health decline and depression. Because of the negative effects of chronic stress in a person’s life, stress management has become one of the most sought after processes and services at present. In fact, the majority has viewed effective stress management process as the secret towards obtaining a happier and more successful life. By effectively performing stress management, you will have an easier time handling even the most difficult life demands as well as managing your anxiety while maintaining your good physical and emotional health. You can expect effective stress management to help you reduce the level of your stress, thereby promoting a more enjoyable and a happier life. In your attempt to learn everything about stress management, be aware that taking part in the stress management certification program offered by a highly reliable online certification company called Brainmeasures can offer you the kind of help that you desperately need. The stress management course available at Brainmeasures is developed in such a way that all aspiring stress management experts will learn all the most essential concepts, theories and principles behind the field. Enrolling in this online certification course gives you the opportunity to undergo an impressive stress management training which walks you through the major factors that may lead you to experience chronic stress, the major consequences that you will face if this condition is left untreated and the many techniques that you can use when it comes to managing the level of your stress and significantly reducing it. This stress management certification course also offers a more comprehensive background about all the strategies that you can use in living a more stress-free life. 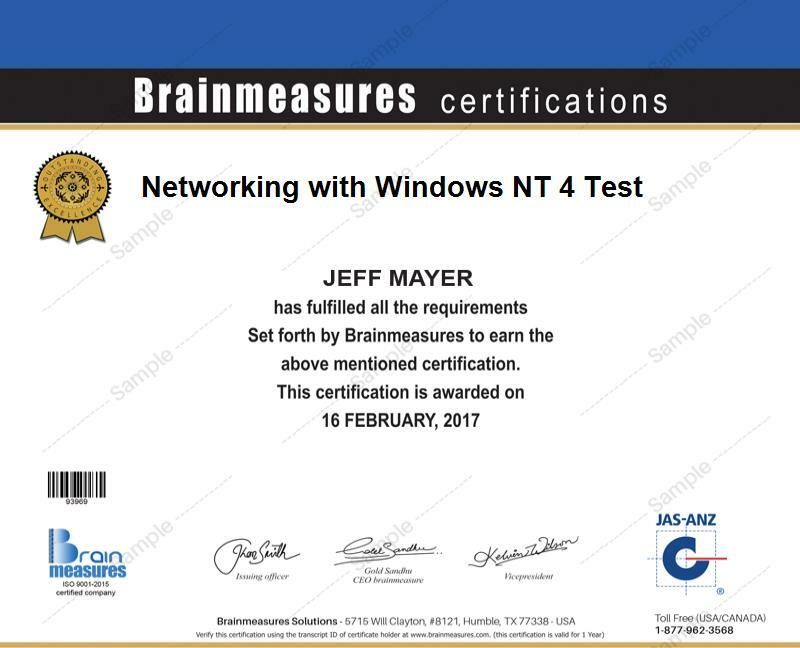 Receiving your stress management certificate from Brainmeasures is very rewarding since this will show proof that you are a real expert in the field. How to deal with stress related to your work? The benefits that you can get from enrolling in the stress management certification program offered by Brainmeasures are incomparable considering the fact that all these benefits can help you achieve a happier and more stress-free life. This certification program can work more suitably for professionals who are responsible in regularly developing effective stress management techniques, managers who constantly work in a high-pressure and stressful environment and wish to prevent stress as much as possible, teams who are planning to develop a more stress free and balanced environment and culture and any other individuals and professionals who wish to prevent stress from affecting their entire personality and performance. Completing your stress management certification course is also a huge help when it comes to receiving a more rewarding salary. You can use your stress management certification to become a stress management counselor which lets you receive around $47,000 per year. If you decide to work as a stress management therapist, then you can expect this to give you an annual salary of at least $51,000. You may also decide to work as a stress management consultant which gives you the chance to enjoy an annual salary within the range of $63,000 to $76,000.